Continuing translations of Key Concepts in Intercultural Dialogue, today I am posting KC#3: Intercultural Competence, which Lily A. Arasaratnam wrote for publication in English in 2014, and which Lûiz Fêrnando da Silva has now translated into Portuguese. As always, all Key Concepts are available as free PDFs; just click on the thumbnail to download. Lists of Key Concepts organized chronologically by publication date and number, alphabetically by concept, and by languages into which they have been translated, are available, as is a page of acknowledgments with the names of all authors, translators, and reviewers. Continuing translations of Key Concepts in Intercultural Dialogue, today I am posting KC#3: Intercultural Competence, which Lily A. Arasaratnam published in English in 2014, and which Evelyn Vovou has now translated into Greek. As always, all Key Concepts are available as free PDFs; just click on the thumbnail to download. Lists of Key Concepts organized chronologically by publication date and number, alphabetically by concept, and by languages into which they have been translated, are available, as is a page of acknowledgments with the names of all authors, translators, and reviewers. Continuing translations of Key Concepts in Intercultural Dialogue, today I am posting KC#3: Intercultural competence, which Lily Arasaratnam wrote for publication in English in 2014, and which Roxanna M. Senyshyn has now translated into Ukrainian. As always, all Key Concepts are available as free PDFs; just click on the thumbnail to download. Lists of Key Concepts organized chronologically by publication date and number, alphabetically by concept, and by languages into which they have been translated, are available, as is a page of acknowledgments with the names of all authors, translators, and reviewers. Continuing with translations of the Key Concepts in Intercultural Dialogue, today I am posting KC3: Intercultural Competence, first published in English in 2014 by Lily A. Arasaratnam which Gabriel Furmuzachi has now translated into Romanian. As always, all Key Concepts are available as free PDFs; just click on the thumbnail to download. Lists of Key Concepts organized chronologically by publication date and number, alphabetically by concept, and by languages into which they have been translated, are available, as is a page of acknowledgments with the names of all authors, translators, and reviewers. Continuing with translations of the Key Concepts in Intercultural Dialogue, today I am posting KC3: Intercultural Competence, first published in English in 2014 by Lily A. Arasaratnam which Neslihan Demirkol has now translated into Turkish. As always, all Key Concepts are available as free PDFs; just click on the thumbnail to download. Lists of Key Concepts organized chronologically by publication date and number, alphabetically by concept, and by languages into which they have been translated, are available, as is a page of acknowledgments with the names of all authors, translators, and reviewers. Continuing with translations of the Key Concepts in Intercultural Dialogue, today I am posting KC3: Intercultural Competence, which Lily A. Arasaratnam wrote and first published in English in 2014, which Shirley Saenz has now translated into Spanish. As always, all Key Concepts are available as free PDFs; just click on the thumbnail to download. Lists of Key Concepts organized chronologically by publication date and number, alphabetically by concept, and by languages into which they have been translated, are available, as is a page of acknowledgments with the names of all authors, translators, and reviewers. The third issue of Key Concepts in intercultural Dialogue is now available. Click on the thumbnail to download the PDF. Lists organized chronologically by publication date and number, alphabetically by concept in English, and by languages into which they have been translated, are available, as is a page of acknowledgments with the names of all authors, translators, and reviewers. Lily A. Arasaratnam-Smith, PhD, is Professor and Director of Learning and Faculty Development at Alphacrucis College, Sydney, Australia. Her primary area of expertise is in intercultural communication competence; along with interests in multiculturalism, the role of social cognition in intercultural communication, and the relationship between sensation seeking and intercultural contact-seeking behaviour. Arasaratnam, L. A. (2011). Perception and Communication in Intercultural Spaces. Lanham, MD: University Press of America. Arasaratnam, L. A. (2013). A review of articles on multiculturalism in 35 years of IJIR. International Journal of Intercultural Relations, 676-685. Arasaratnam, L. A. (2012). Intercultural Spaces and Communication within: An Explication. Australian Journal of Communication, 39(3), 135-141. Arasaratnam, L. A., & Banerjee, S. C. (2011). Sensation seeking and intercultural communication competence: A model test. International Journal of Intercultural Relations, 35, 226-233. Arasaratnam, L. A., Banerjee, S. C., & Dembek, K. (2010). The integrated model of intercultural communication competence (IMICC): Model test. Australian Journal of Communication, 37(3), 103-116. Arasaratnam, L. A. (2006). Further testing of a new model of intercultural communication competence. Communication Research Reports, 23, 93 – 99. Arasaratnam, L. A., & Doerfel, M. L. (2005). Intercultural communication competence: Identifying key components from multicultural perspectives. International Journal of Intercultural Relations, 29, 137-163. On the way between the US and New Zealand, I was able to stop in Sydney, Australia for a week. Being there permitted me to connect with two people I’d never met but only talked to via email, and one I had not seen in over a decade. Between the three, there was a wide range of interests and career stages. 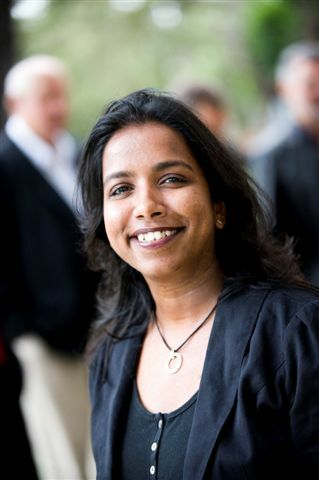 Lily A. Arasaratnam is Senior Lecturer in Intercultural Communication and Program Director for an MA program at Alphacrucis College in Parramatta, just outside Sydney. I “met” Lily when we both participated in an online dialogue about intercultural communication for the Journal of International and Intercultural Communication which will shortly be published. Her primary research specialization is intercultural communication competence. She is an intercultural expert both because of her PhD and her personal experience: born in Sri Lanka, raised in the Maldives, with US degrees, and now living in Australia, she lives many of the dualities others only try to understand. Olga Kozar is currently completing her PhD in Applied Linguistics at Macquarie University in Sydney. Her research is on private one-on-one English as a second language lessons conducted via videoconferencing tools such as Skype, especially when learners and teachers have different cultural backgrounds. In her spare time she runs such a language school – with about 1000 students! She was quite helpful in providing technology-related ideas, given that she’s become such an expert. I was delighted to discover that she and Christine Develotte, a colleague from Lyon, France, who does similar work with teaching French online and who I introduced her to via email, have now met in person as well. 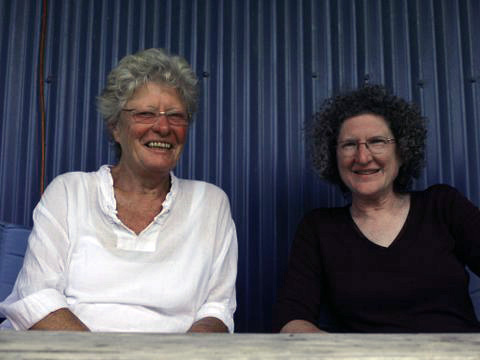 I was introduced to Robyn Penman by Barnett Pearce so long ago we don’t remember when it would have been; it was a pleasure to have a chance to catch up on the past decade. Currently active with the CMM Institute, formerly with the Communication Research Institute of Australia, Robyn is a pioneering communication scholar, widely respected both for her ability to state theory clearly (as in her early Communication Processes and Relationships, or the more recent Reconstructing Communication) and to apply that theory to practical communication problems (as in Designing Information for People, a co-edited volume). Robyn suggested that, given my current efforts to connect international scholars, my name should now be changed to Ariadne, for her association with webs and weaving. I look forward to continuing the conversations with all these scholars.